Yes – some of the best things in life are free! Docaviv, now in its 20th edition, will take place from May 17 – 26, 2018 with screenings of over 120 Israeli and international documentary films, as well as several events that are open to the public, admission free! The full program and ticket information may be found on the Docaviv website. Screening of student films at the Tel Aviv Cinematheque from 14:30 – 19:00. Studio 54 – screening of the documentary on the legendary nightclub & disco party at Romano (9 Jaffa Road). 21:00 – whenever… Dance like it’s 1978! Studio 54 – screening at the location of Tel Aviv’s old drive in theatre (Isaac Remba St 7), 20:30. Enjoy the film from the comfort of your car for a nostalgic experience with cutting edge sound technology. Note that parking in the lot is 25 NIS. Faithfull – Sandrine Bonnaire’s documentary of the iconic singer songwriter Marianne Faithfull, outdoor screening at the Port of Tel Aviv (north boardwalk, sand pit transformed to movie theatre), 20:30. Well done doc on a fascinating woman – read more here. 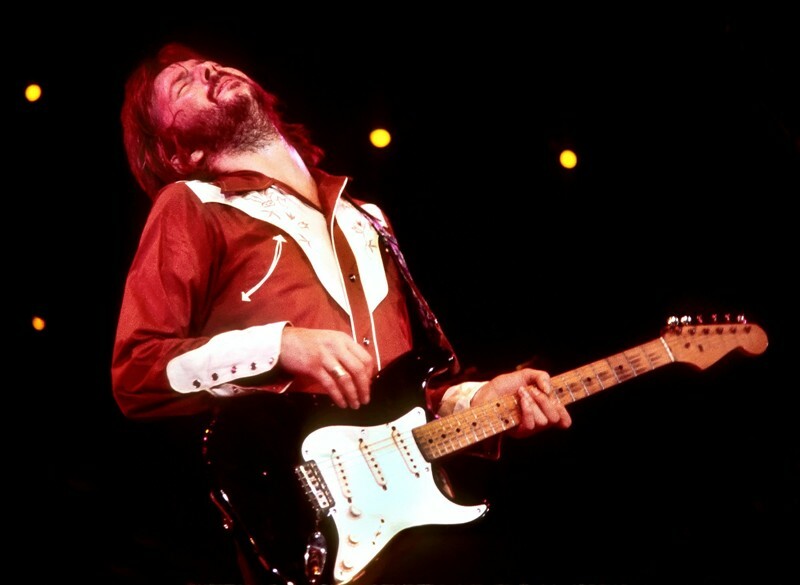 Eric Clapton: Life in 12 Bars – screening at the Port of Tel Aviv, 20:30. Dudu Tassa and the Kuwaitis: Don’t Be So Modest, You Aren’t That Great! – screening at Beit Dani Community Center (Simtat Kabir 4, Schunat Hatikvah), 20:30. Bad Reputation – screening at the Port of Tel Aviv, 20:30. Joan Jett – fearless & talented. Dudu Tassa and the Kuwaitis: Don’t Be So Modest, You Aren’t That Great! – screening at Habima Square, 20:30. Westwood – documentary on the flamboyant designer Vivienne Westwood, screening at Gan Hapisga, Old City of Jaffa, Tirosh amphitheatre at 20:30. The Israeli Documentary Filmmakers Conference will take place on Thursday, May 17th at 12:00 in Cinematheque 2. Doc Lab TLV – presentation of participants’ projects in rough cut will take place on Monday, May 21st at 10:00 in Cinematheque 5. A workshop on financing and distribution, conducted by Peter Yeager, will take place on Monday, May 21st at 16:00 in Cinematheque 5. The workshop will be in English.